In November 2018 three companies contacted me for advice about how to build apparatus to make pure fullerenes. These companies are part of a growing number around the world who dissolve C60 in olive oil and sell it for people to ingest. Some incredible health claims have been made by such companies. 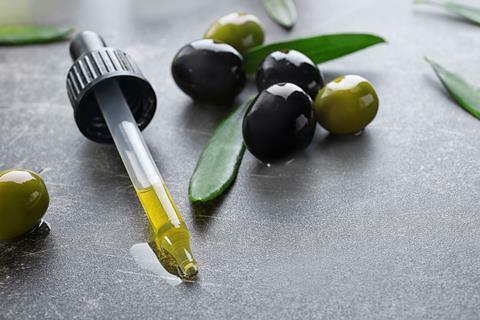 These suggest C60 can improve longevity, protect against free radicals, prevent inflammation, kill bacteria and viruses, protect nerves and prevent osteoarthritis. After the initial emails, I decided to arranged Skype sessions with two of the companies to discuss things in more detail. What follows is a short account of the ethical issues I have been weighing up in my mind to decide how much I should get involved in this area. The approach by the companies was not unusual; I was fortunate to have a role in the C60 story and have my name on a lot of the first scientific papers, including the generation and purification of fullerenes. In 1985, Harry Kroto and US colleagues accidentally discovered C60 during mass spectrometry experiments, which provided the data to uncover C60 but did not provide a production method. I started my PhD with Kroto at the University of Sussex, UK, in late 1989. In the first year we found a way of making C60 and I became one of the first people in the world to create ‘test tube’ quantities of the fullerenes. I worked in the Sussex Fullerene Group for 10 years then, in 2000, became a self-employed science communicator. I still love building scientific apparatus and have a small laboratory at home. I regularly give talks on C60 and the fullerenes and we have developed ‘Kroto Science’ workshops at the university in honour of Kroto, who died in 2016. Where do the health claims come in? Well, C60 does look like it will have interesting and novel applications, some of which are detailed in a recent review.1 One of the papers that has stimulated the rapid interest in the health properties of C60 came out of a French–Tunisian collaboration in 2012, led by Fathi Moussa, that studied the toxic effects of C60 in rats.2 The study administered C60 in olive oil to a group of rats as well as two control groups (a normal group and one subjected to just olive oil with no C60). Surprisingly, they found that rather than killing the rats, the C60 olive oil-fed rats far outlived the other groups. This paper sparked considerable interest. Since the early 1990s, companies around the world have been making C60, primarily to sell to university chemistry departments for fundamental research. As production processes improved the price fell – until the past few years, when the price has suddenly risen. 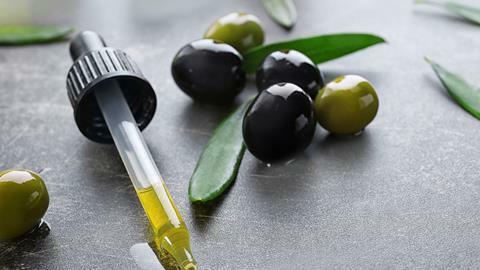 It seems people are buying C60 online from a few established sources, dissolving it in olive oil and selling these products through their own companies. Currently, supply cannot cope with demand. There were two main reasons for companies asking for my involvement. First, to be able to make C60 on their own, so they would not be dependent on a distant and perhaps unreliable C60 source. And second to endorse their claim of a high ‘purity level’ for their C60 (for example, to quote low amounts of solvent left in the C60 samples). Should I become involved in these companies? Being self-employed, I need to consider consultancy work seriously and I do have relevant expertise, for example to create apparatus to make C60 or find ways of removing solvent from the crystals. However, I am disturbed and put off by the incredible claims made in this area, much of which seems like pseudoscience largely based off a single study. A few errors have also been found in the 2012 paper: a couple of the diagrams turned out to be incorrect and a correction was subsequently published. While these changes do not change the overall result of the work, they do raise concerns. My initial reaction was one of scepticism. During a conversation with one of the groups, they told me that as C60 products were already being produced worldwide – ‘the genie was out of the bottle’ – they really needed someone to advise on production so high-quality C60 could be guaranteed (there are currently no checks or standards). My dilemma, of course, is that even if I could help raise the quality of the C60 being produced, in helping these firms to create high-quality fullerenes it still looks like I am also endorsing the idea that it’s ok for people to ingest fullerenes. It bothers me that C60 can be bought so easily, that there are no ‘stops’ or ‘checks’ in place to remind people that the scientific research is sparse (and that it needs repeating), and that there are no limits to the amount people might decide to ingest! Much more research needs to be performed (and, crucially, independently repeated and verified) especially when applying these results for fullerene ingestion by humans. On reflection, I decided not to be a consultant for any of the firms that contacted me. However, I am still happy to continue to communicate with these sort of enquiries, as I might be able to clarify the basic science (which, although generally available through the scientific literature, may not perhaps always be clearly stated). I believe this approach is generally consistent with my science communication outreach work and ethos, and my integrity as a scientist.